At 3PL Center, we offer innovative logistics management solutions to the health care and hospital equipment manufacturers, wholesalers, and distributors. Our 3PL services are designed to help our customers overcome the tough challenges that are associated with distribution, warehousing, packaging, and fulfillment. 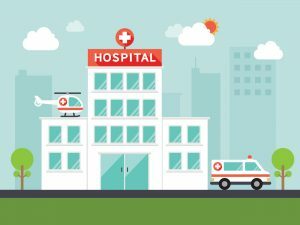 We fully understand our customers’ needs in the health care and hospital equipment industry is unique from one another. That’s why we offer customized solutions that can deliver increased efficiency for their businesses. A hospital is like a complex technical system comprising of people, material flows, structures, and actions. In addition, different areas of operations and wards are involved in the daily routine of a hospital. Disposal, cleaning, sterilization, laboratory, administration, storage, chemists as well as the coordination of all logistical items are some of the factors that contribute to the success and quality of a health care firm or hospital enormously. Third party logistics is a useful instrument for costs reduction, quality increase, and efficiency in the health care and hospital equipment industry; its usefulness in these areas is growing by the day. That’s why the development of an optimal integrated logistics system is a must for health care and hospital equipment companies. Why Choose 3PL Center for Your Health Care & Hospital Equipment Business? At 3PL Center, we have been working with health care and hospital equipment businesses for more than six years, and have a combined experience of more than 45 years. We fully understand the industry and we know how to incorporate third party logistics with businesses in the health care and hospital equipment niche. Warehousing: When your health care and hospital equipment is stored in our warehouse, your inventory will be under the expert care of our professional warehouse employees. That’s why you can enjoy peace of mind at all times with the complete security and insurance we feature. Fulfillment: 3PL Center’s fulfillment services are not only affordable, for they provide exceptional scalability too. What’s more, you will get the updates you need about your health care and hospital equipment stock through our proprietary fulfillment software. Distribution: We have exceptional transportation services in place to facilitate the distribution of your health care and hospital equipment orders. Your orders will be dispatched via our speedy delivery channels and you can also enjoy discounted carrier rates as well. At 3PL Center, customer satisfaction is our number one priority. We practice a client-first approach in what we do. That’s why your unique requirements are our priority concerns. We offer flexible 3PL services that will accommodate your needs. Are you seeking a professional 3PL provider to help handle your health care and hospital equipment logistics? Give us a call at 732-391-2500 or email us at sales@3plcenter.com today.